The next eight days should remain cool and dry in the soybean growing areas, which should be supportive of the harvest process. 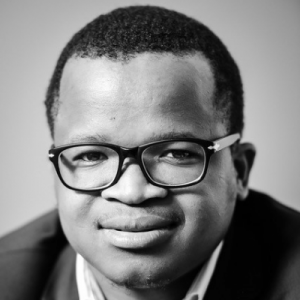 This is at initial stages in parts of Mpumalanga province, and it could soon commence in other provinces as a large part of the crop has already matured. The soybean crop is in good condition throughout the country. This is demonstrated in the Crop Estimates Committee’s decision to revise South Africa’s 2017/2018 soybean production estimate up by 3 percent from last month to 1.4 million tonnes (see featured image). This is underpinned by expected higher yields, as well as an increase in area planted. The key soybean-growing provinces are the Free State, Mpumalanga and KwaZulu-Natal, making up a combined share of 87 percent. The other notable soybean-producing province is Gauteng and North West with a combined share of 8 percent. 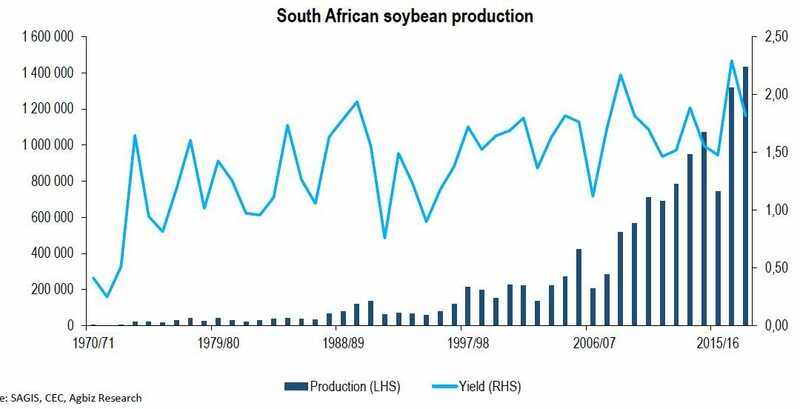 This expected large crop implies that South Africa’s soybean market will be well-supplied in the 2018/2019 marketing year. The seasonal imports could decline by 27 percent year-on-year to 20 000 tonnes. This is a notable improvement following imports of 271 098 tonnes in the 2016/2017 marketing year. Moreover, Agbiz estimates that in 2018, soybean oilcake imports could decline by 17 percent from last year to 458 992 tonnes. This too is a remarkable improvement from imports of close to a million tonnes in 2010.